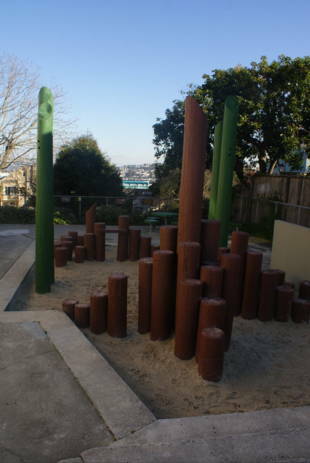 Located downslope from Bernal Hill, Prentiss Mini Park features a small children's play area, three benches, two picnic tables, and a landscaped area in the back. There is no restroom. There is an ADA-compliant access ramp. 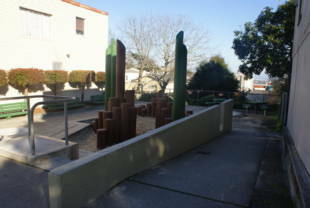 Prentiss Mini-Park is owned by the San Francisco Recreation and Park Department. 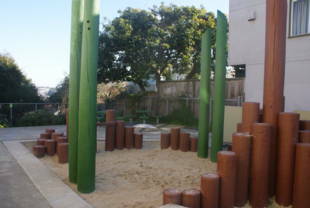 The Prentiss Mini Park is located in the Bernal Heights neighborhood at Prentiss and Eugenia. It is 0.05 acres. 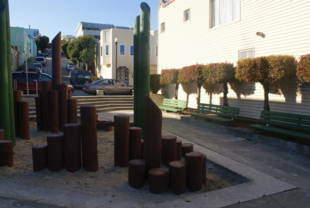 24-Divisidero and 67-Bernal Heights -- Cortland Ave. and Prentiss St. stop; the park is roughly 100 feet away (north) on Prentiss St. at Eugenia.